Proposing marriage is one of the scariest things someone can do. It’s a moment that’s full of emotions, ideally a celebration of the love between two people. But when the bride-to-be finds the ring before her future fiance can pop the question, and she hates the ring instantly… that certainly complicates things. 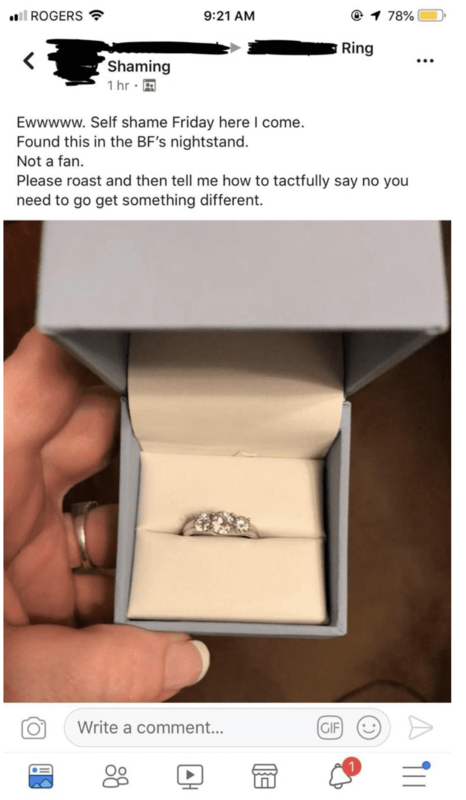 The woman offered up a roast and an “EWWWWW” and asked Reddit users how to “tactfully say no” because she wanted something different. I think we passed “tactfully” the moment this picture was posted. It probably goes without saying, this marriage will be off to a “rock”-y start.